Holding connecting rods securely without damaging them is necessary for removing or installing rod bolts, beam polishing or machining. This aluminum vise is designed for all sizes of aluminum or steel rods, and can hold several at once. It will mount in a bench vise or can be permanently mounted. These Proform Connecting Rod Vises are perfect for holding connecting rods securely without damaging them. This is necessary for removing or installing rod bolts, beam polishing or machining. These high quality aluminum vises are designed for all sizes of aluminum or steel rods. 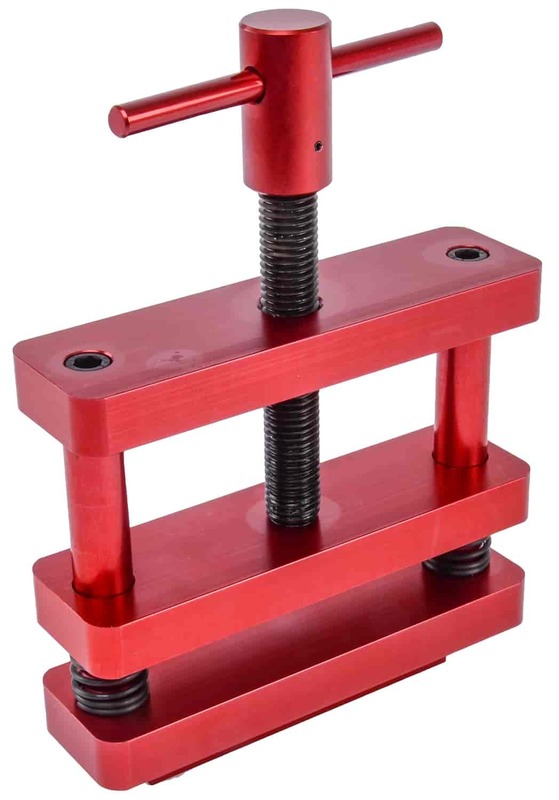 While the new heavy-duty rod vise is designed to hold two aluminum or steel rods securely, it comes complete with an easy grip handle and fast release latch for high-production output. Both can mount in a bench vise or can be permanently mounted. 66769 is rated 5.0 out of 5 by 1. Rated 5 out of 5 by Flaco from 2thumbs up Bought it, used it, works awesome. Great product.